Catching a view of the massive waterfalls, going on a rigorous hiking trail, scaling a mountain, zip lining over a waterfall, and ending with a picnic overlooking the sunset at Ile d’Orleans...just another day at Parc de la Chute-Montmorency! The gorgeous Parc de la Chute-Montmorency is located just outside the city center of Quebec City. It is really easy to reach, so no need to worry if you don’t have a car. You can rent a bike and enjoy the ride there (which I did thanks to Cyclo Services), which takes about 30-45 minutes. One full day of bike rental will cost about $35 depending on the type of bike you need. 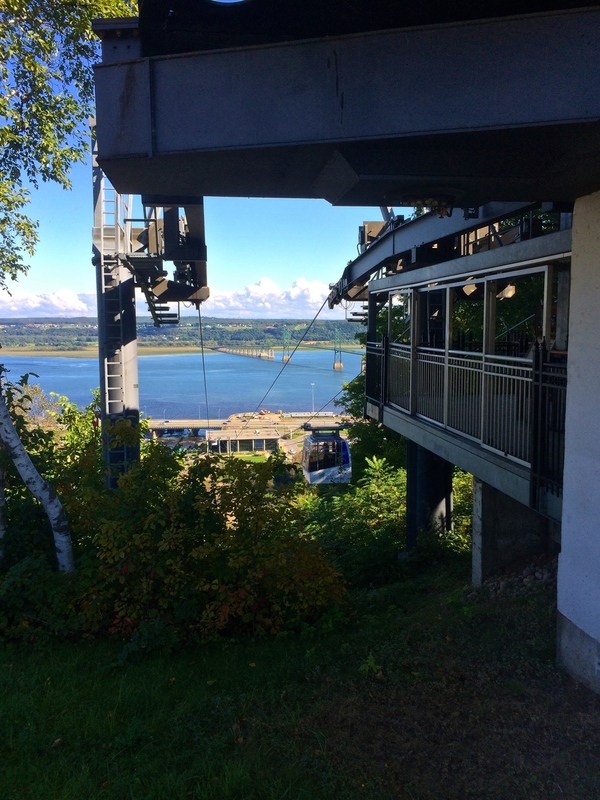 Once you arrive at the park, take the cable car up to the top of the mountain (starts around $20 round-trip for adults) and soak in all the views of the Montmorency Falls. Once you’re at the top, you can really have a variety of experiences while you’re there! Some activities you can enjoy at the park include hiking, enjoying the waterfall views, biking, zip lining over the waterfall, via ferrata, picnic, theatre, snow hiking, ice climbing, taking children to the playground, and even dining at a nice restaurant. There is something for people of all ages and interests to enjoy. MY FAVORITE PART OF PARC DE LA CHUTE-MONTMORENCY: ZIP LINE!!! The park just installed a brand new dual zip line that basically goes right over the falls and allows you to get a unique view of the Montmorency Falls. It is such an invigorating and beautiful experience to be that high, up close and personal with the falls. Such a rush and worth every penny!! !